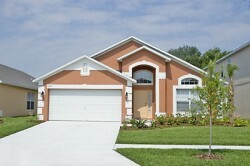 Welcome to our selection of holiday homes to rent in the USA. There is a huge variety of vacation destinations in the USA whatever your tastes are. There are miles of fantastic beaches both on the West coast and on the East coast where Florida is a popular beach vaction destination. The islands of Hawaii also cater for beach vacations so if you want to relax and catch some sun then there is plenty of choice. For the golf enthusiast there are some of the best golf courses in the world and all other sports are catered for from water sports to hiking and walking vacations. Winter sports are well catered for in most states with Colorado probably being the most famous winter sports destination in the world. The USA has spectacular sceneruy such as the Grand Canyon and the Rocky Mountains as well as beautiful national parks for the nature lover. Please choose which state in the USA you would like to send your vacation from the list below or alternatively please use our search engine on the left to find something specific.